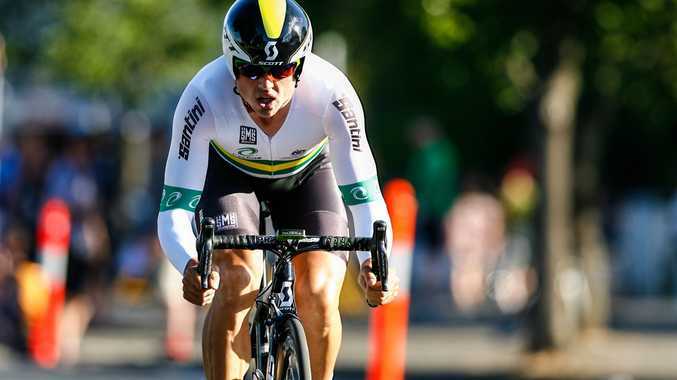 CYCLING: Simon Gerrans will aim to become the first three-time winner of the Tour Down Under when he spearheads the Australian-owned Orica-GreenEDGE team in this month's classic. Gerrans won the race in 2006 and again in 2012 in the Aussie outfit's debut in the race. The 33-year-old Victorian enjoyed an outstanding season in Europe last year, winning the third stage of the Tour de France and wearing the race's coveted yellow jersey after Orica-GreenEDGE'S victory in the stage four team time trial. Gerrans was one of six Australian riders named in the team yesterday, with South Africa's Darryl Impey, a winner of stage six of the 2013 Tour de France, the only overseas rider in the line-up. The other members of the team are: Simon Clarke, Matthew Goss, Mathew Hayman, Michael Matthews and Luke Durbridge. Team director Matthew White said Orica was "targeting stage wins - and the overall". "We have a number of options to achieve our goals," he said. The Tour will be staged from January 19-26.